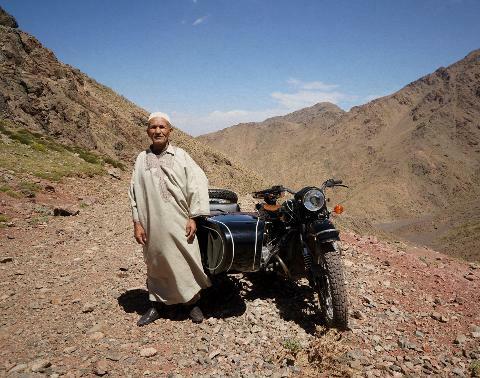 Head out for a full day of Insider expedition in the high altitude regions of the Atlas mountains. 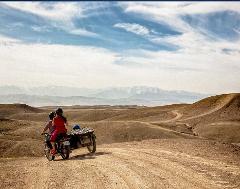 Have lunch in a preserved berber village and learn about its traditional daily life, hunt for ancestral rock paintings on a brisk cliff and explore an impressive canyon or a berber traditional market before coming back via the scenic roads of the Agafay stone desert. Once a well-known brasserie and a mail staging post in the 1920s, your insider meets you at the famous heritage building 'Le Grand Café de la Poste'. Share your expectations and specific requests while your insider introduces you, thanks to an old map, to both the day's program and options offered to you. 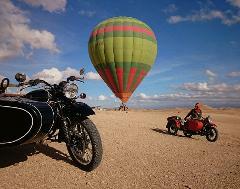 Adjust your helmet, put on a jacket and your sunglasses and hop on. 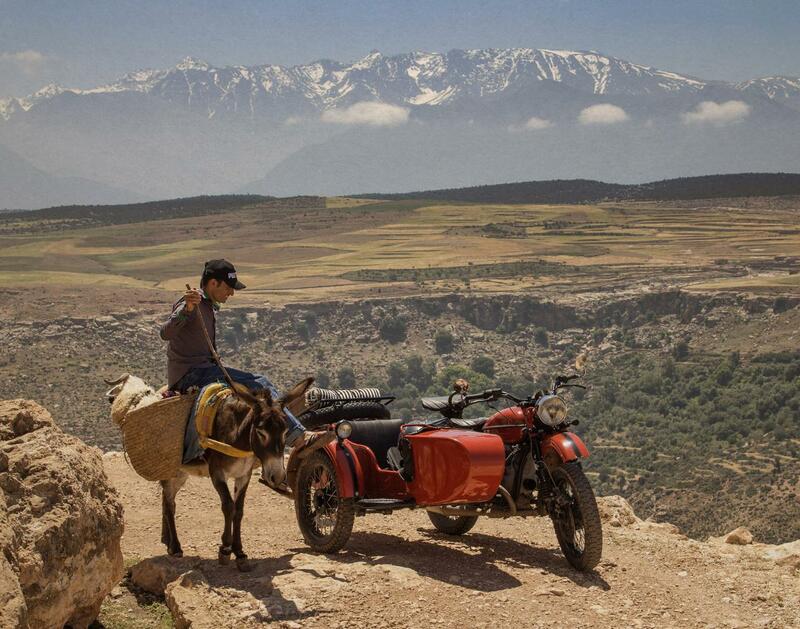 Hit the road and reach a small quaint village located 20km south of Marrakech. 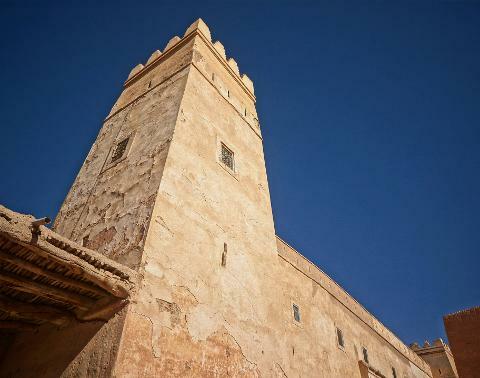 Between the majestic snow-capped Atlas Mountains, the vivid green of the olive trees and the region's characteristic red soil, a truly spectacular landscape passes in front of your eyes before reaching this very spiritual place. 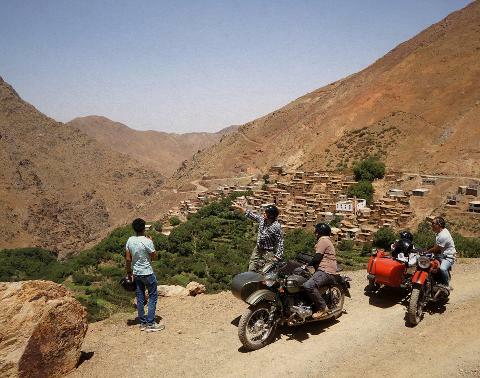 One of our beloved panoramic roads takes you to a small Berber village located at an altitude of 1600m. 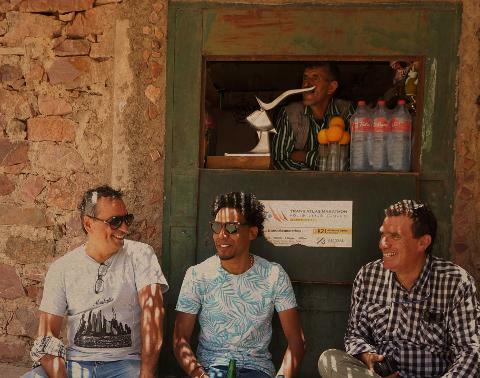 For lunch, Hassan, the chief of village and his family welcome you as family in his home with a traditional and local set of moroccan salads, tajine and fruits. Take a stroll in the village to meet up with its inhabitants such as these talented rug weavers or their friendly kids. Climb up a cliff to discover ancient cave paintings or choose to walk to a canyon, a true oasis of greenery where every families' crops are gathered thanks to a smart system of community gardens. 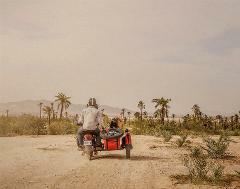 To go back to your hotel or any other place in downtown Marrakech, you can either choose to use the dusty tracks of the Agafay Desert or a smoother road in a green valley. 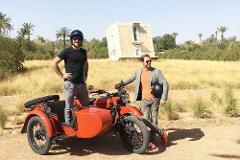 Partez pour une journée d'aventure au grand air sur les contreforts des montagnes de l'Atlas. Déjeunez dans un village berbère et explorez le lieu à pied afin d’en savoir plus sur ses traditions, son architecture et sur sa vie quotidienne. Sur le chemin plusieurs possibilités s’offrent à vous dont un souk berbère, une kasbah du 19e siècle, un peu d’escalade pour aller voir des peintures rupestres ou emprunter les pistes du désert de pierres d’Agafay. 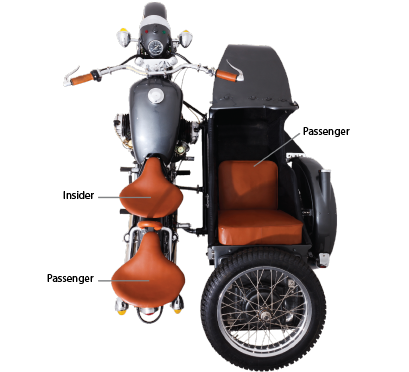 Le prix est par sidecar soit 2 personnes par véhicule.